Here is a new book (2014) edited by our friends Chandler Im and Amos Young for the Regnum Edinburgh Centenary series. Publisher Description: The movement of people from their homelands is increasing exponentially. Such waves of both immigration and migration triggered by various factors have created new opportunities for the church and its mission. 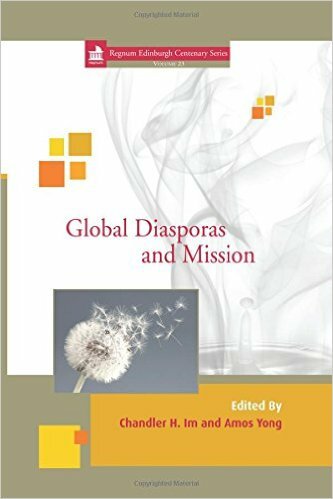 This volume explores such global diasporas from both ecclesiological and missiological perspectives. Its various case studies invite reconsideration of the missionary and evangelistic task of the church in response to contemporary global dynamics. 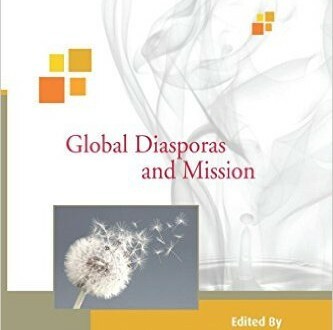 The image of the dandelion on the front cover symbolizes diverse people groups dispersed around the globe, even as the Christian imagination views such dispersal as being carried by the winds of the Holy Spirit.